The 35X HTC high temperature digital pressure sensor is suited for media temperatures up to 300 °C. The pressure, acting onto the flush diaphragm, is transferred over an oil-filled capillary onto the silicon piezoresistive measuring cell. The capillary has the function of a cooling spiral, allowing media with temperatures up to 300°C to make contact with the isolation diaphragm. 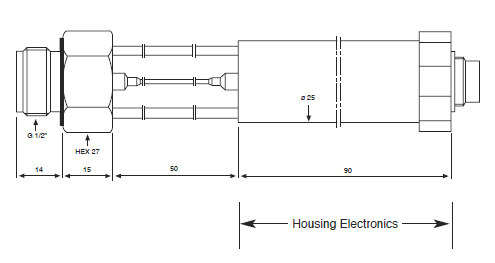 If 4ma -20ma output is used, what is the default standard of measurement, psi or bar? You can scale the output to any range, and in any units, which is practical without compromising accuracy using the software. 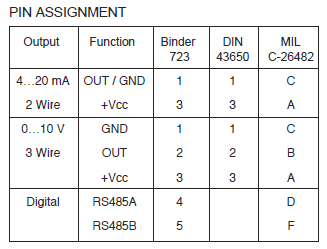 The standard ranges are defined in bar units, and are detailed in the table below. What type of thread size does the 35x htc have? It is a G1/2 male with a flush diaphragm on the tip of the thread. A G 1/2 thread is also called 1/2 BSP parallel thread which is exactly the same thread. I’m looking for a pressure to measure high pressure up to 800 bar on a robot spraying system. The material to be measured is viscous and will be at a high temperature. What is the difference between PR 35 X HTC and a PAA 35 X HTC? PR means vented gauge reference, pressure readings relative to atmospheric pressure, so reads 0 when vent open to air. PAA means absolute pressure reference, so reads atmospheric pressure ~ 1 bar when open to air. Do the PROG30 and READ30 programs have English versions? Yes PROG30/READ30 did have english versions, but both have now been superseded by the Control Center Series 30 (CCS30) software which also has an english version. We are looking to record test pressures up to 15,000 working pressure and temperatures up to 300 deg F, and need to be able to log via USB and graph results. 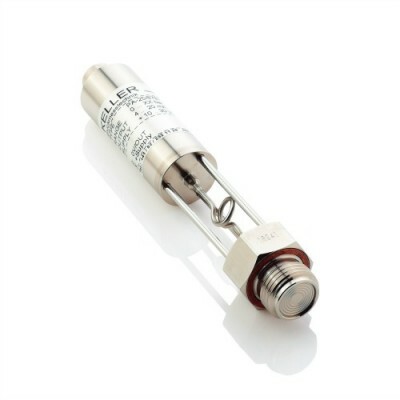 The 35X HTC is a high temperature digital pressure sensor with the capability to connect to a PC and log results. The 35X HTC data sheet says stainless steel & viton for material in contact with media, but in the colour photo it looks like a copper seal. Please could confirm wetted parts for 1000 bar, 300 degC operation since Viton is not normally suitable much above 200 degC. The Viton is not suitable much above 200°C, 220°C is the maximum. A 35 X HTC up to 300°C will be constructed with a Copper seal. So, wetted parts will be SS316L and with a Copper O-ring. 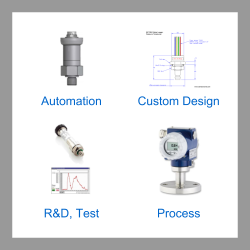 Please select the options you require for the 35X HTC High Temperature Digital Pressure Sensor (< 300 degC) in your application and request a quote. Oxygen Application - Galden HT270, 200bar max. Oxygen Application - Formblin M100, 330bar max. Send us your enquiry for 35X HTC High Temperature Digital Pressure Sensor (< 300 degC) to get assistance with this product type.